Two beautiful lace dresses for any special spring or summer event- confirmation or first communion, bridesmaid, wedding or just a party. Simple, but very effective and bound to make any little girl feel very dressed up. 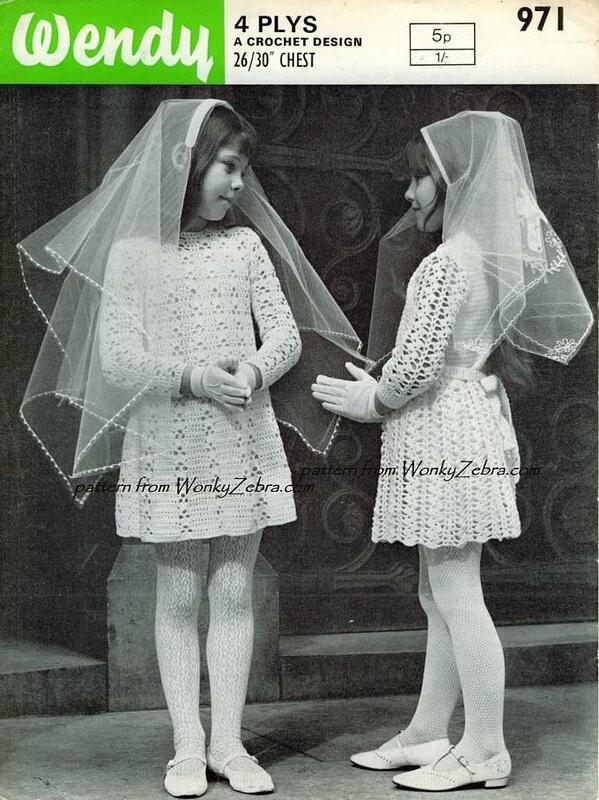 You could also use the photo as a great image for a communion card, or gift tag for the finished dress- so I have photo shopped the image on the PDF into 2 separate girls as well, in case you want them!